We all do the best we know how to do and when we know better we do better. As long as this is true it is alright, but we need to seek to know more. Dogs have needs and this is not just water and food, they include play time with toy's, humans and other dogs, exercise and training. Have you thought about re-homing your dog? Reasons being...he digs tunnels, jumps over the walls, barking, the yard is not big enough, my husky is aggressive etc. Well, for almost all these reasons the first thing you need to change is the amount of exercise your dog is getting. Walking is for most Huskies by far not enough even twice a day. They need to run a couple of km per day. For a Husky who never gets any exercise walking would be a great start. The other thing that needs to change is training. 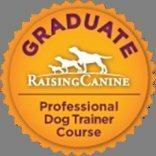 Huskies need positive reinforcement training. You can join a class or even just by reading pages on this web site will guide you to do training at home even if it is just 5 min 3 times a day. This you can easily fit in with waking up 15 minutes earlier in the morning. Work out a schedule to get you into a routine. If you don't feel that you can provide the needed exercise for your dog organize play dates with friends dogs or let your dog join a doggie day care a couple of times during the week. You can also get a doggie walker to come and walk your dog, join a sledding club or any other club so that you can exercise and stimulate your dog mentally as well as physically. Not all dogs have the same amount of needs. It is not to say that if one dog is happy with a 1 hour walk that the other dog would be satisfied with the same amount or that dog would maybe rather prefer to go swimming for an example. If you would like to know more on our sledding club, doggie day care and Husky behaviour training please fill in this form provided. Also browse through this web site for more information regarding this as well as knowing how to exercise, train and to live with a Husky as a pet dog. If we are not in your area we can help you locate dog walkers and day cares in your area. We re-home Huskies in the event that you have used all these resources and truly attempted to exercise and train your dog by you still fostering your dog whilst we look for a suitable loving home. Husky Rescue will do home checks and have the adoptive owners sign a contract. Your dog needs to be sterilised. All dogs that we re-home is sterilised, micro chipped, de wormed and vaccinated. Please do not adopt a Husky if you have not before hand researched the breed. Letter from a Husky owner who wanted us to re-home her dog. I spoke to you a while back about re-homing my Husky Reily. I am happy to report that after using the advice that you provided to me regarding finding a dog walker and having individual training with you made the world of a difference. I now start to understand Reily and she is a different dog and I must say I changed to for the better. Thank you, I no longer want to rehome Reily and am amazed at this wonderful dog.